Kevin De Bruyne believes his former club Chelsea could still throw-away the Premier League title if they wobble under pressure from the chasing pack by suffering back-to-back defeats at Stamford Bridge on Wednesday. 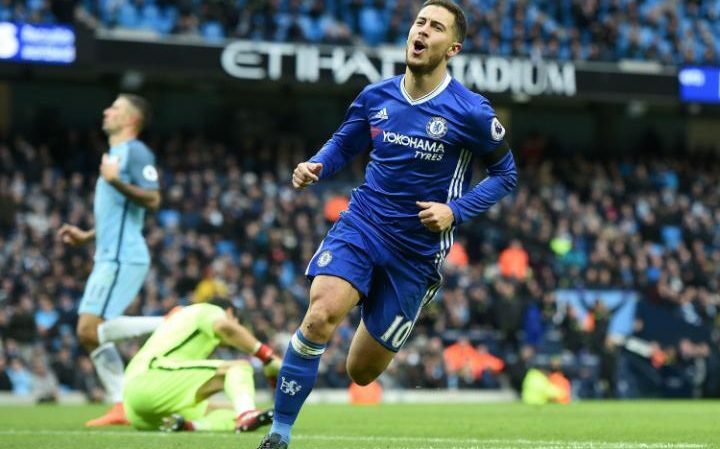 Chelsea were 13 points clear at the top only 2½ weeks ago but their lead will be cut to four points if they lose at home to Manchester City, four days after their shock defeat Crystal Palace, and Spurs overcome Swansea City. Victory would move City to within eight points of the league leaders with eight matches to play and De Bruyne is refusing to concede defeat in the championship race, with the City midfielder convinced that pressure can do funny things to teams. 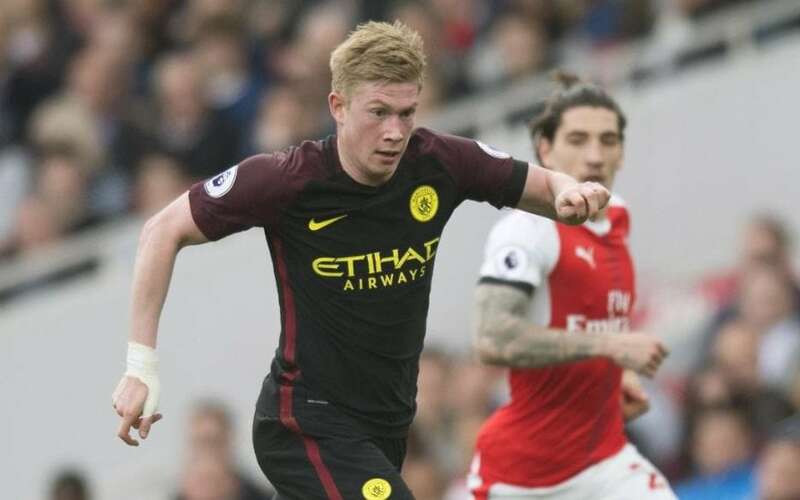 “They’re still a lot of points ahead but obviously they will try to win the game against us because if they lose and Tottenham win then maybe they have a little bit of pressure that they haven’t had throughout the whole season until now,” said De Bruyne, who left Chelsea for Wolfsburg three years ago before his £55 million to City. “In the end you don’t want the pressure that you’ve not had all season. I don’t think they will be shaken [by the Palace defeat]. They are professional who knows how to cope with a loss. Pep Guardiola echoed De Bruyne’s thoughts. Although the City manager believes the Palace setback will have sharpened Chelsea’s focus, he is determined to pile the pressure on Antonio Conte’s side. 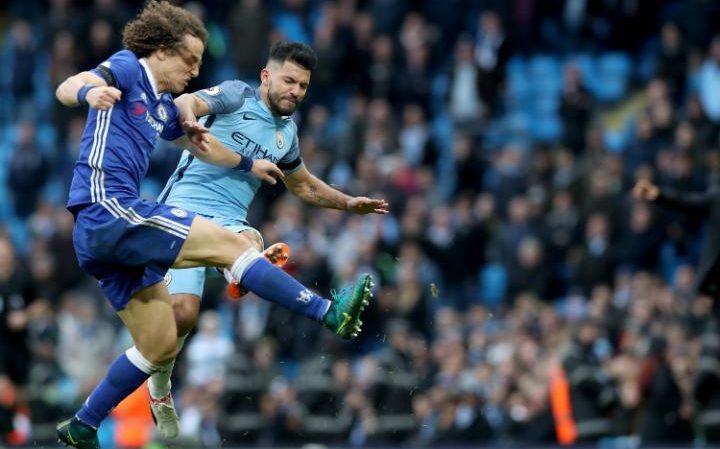 Nonetheless, Guardiola pinpoints City’s 3-1 defeat at home to Chelsea last December, when they led but finished the game with nine men after the dismissals of Sergio Aguero and Fernandinho, as the moment the wheels began to come off their title bid. The loss, which Guardiola says he has watched back more times than he cares to remember, saw City fall four points behind Chelsea and a 4-2 defeat in their next outing at Leicester City left them seven adrift and playing a game of catch-up. Guardiola said expectations were so high when he took over City, as they had been when he inherited treble winners at Bayern Munich, that he believes it is inevitable “I’m going to fall short definitely, I cannot have success this season”. But he is convinced change is “necessary” in the summer to help take City to the next level and has those players whose futures are in doubt that they have just over six weeks to convince him they deserve to stay at the club.